I love a good food holiday. They don’t require the elaborate celebrations of “real” holidays and give me an excuse to make, buy or eat some treats in celebration. Food holidays also occasional mean that you can score some good deals if retailers and restaurants jump in to the festivities. June 10th is National Ice Tea day and there are quite a few ways to enjoy a refreshing ice tea for less (or for free) on Friday. 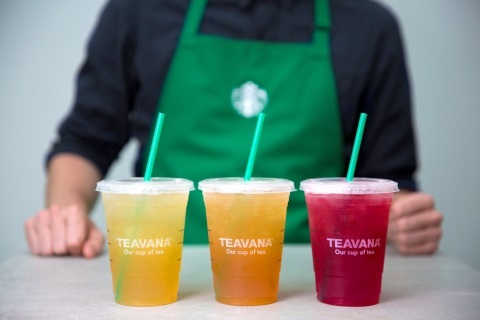 Starbucks – The chain will be offering a Buy One, Get One Free deal on all iced Teavana drinks, and that includes tea lemonades. Snapple – This popular brand will be releasing coupons for free Snapple beverages on their website (linked left) on Friday. Make this click early in your day! Au Bon Pain – Buying a ABP logo cold cup this week ($6.99) means that you are entitled to $.99 refills on iced tea (actually all cold drinks) all summer long. Not quite a freebie, but a good deal. Noodles & Co – A popular lunch spot, you can snag a free iced tea with entree purchase on Friday.